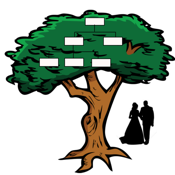 This is a research tool for genealogists. Let's suppose you have two source documents and you are trying to determine whether they are refering to the same person. Key in the date and age of the person from the first document. You can then quickly and easily scroll to any other date or age on the second document to determine if the dates & ages align. If they do then the documents probably refer to the same person. It is important to remember that they may be one year out if one document was recorded prior to the persons birth date and the other after. iPad version also includes a handy relationship chart.